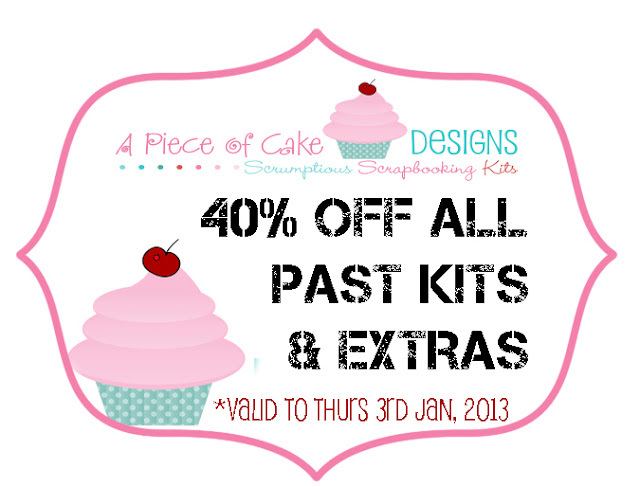 Well I decided I was feeling festive and wanted to have a sale over at my kit club A Piece of Cake Designs. This is the biggest sale I have ever had at APOCD - 40% off, yes 40% off all past kits and extras!!! to snap up some scrumptious bargains!